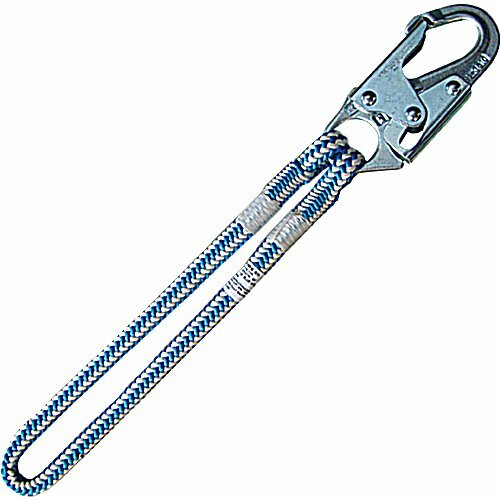 Prusik devices are common for 2 in 1 safety lanyards and also as friction hitches for climbing lines, only when an added wrap or other proper hitch is used. Climbing line diameter must be equal or greater than the Blue Streak (12mm). Snap version (HP26) features Buckingham's Steel Safety Snaps. HPE26 is eye-to-eye. Both models are 26-inch. Available with a safety snap (HP26), or as an eye-to-eye (same as HP26 but no snap). 26" x 12 mm.